We will bring everyone together – across all the cultures, disciplines, age groups and professions – showing that we can all learn from each other while creating something beautiful and interesting. The Channel is run by volunteers. By donating to our project, you will be seed funding our first edition that will allow us to become a self-sustainable magazine for years to come! 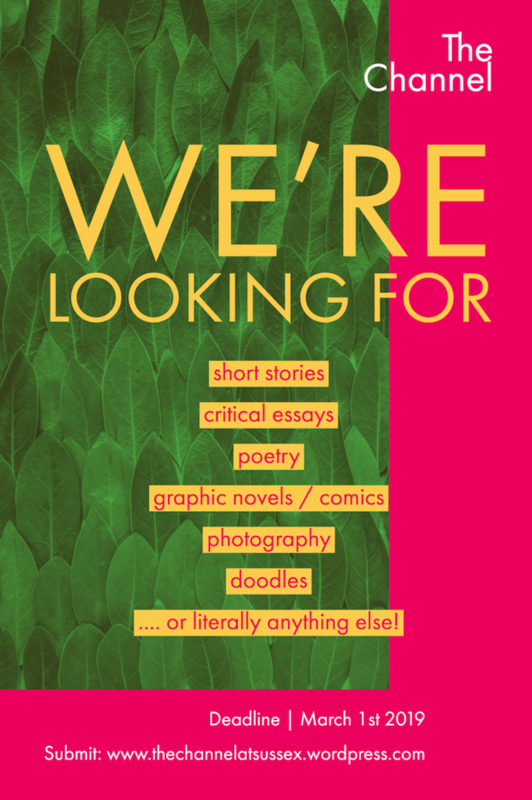 Don’t forget to send us your creative or critical work! We’re a diverse group of staff and students who have come together with the goal of inspiring and connecting the entire University of Sussex community. We are driven by the principle that stories, critical essays, poetry, photography and artwork can all raise awareness of important issues in our society and connect people from a wide variety of backgrounds. Our team is multicultural and multidisciplinary with experience in journalism, filmmaking, editing, research, and publishing. We hope to pass these skills on to future teams and ensure the representation of a wide variety of backgrounds and perspectives. Once we have our successful first edition, we will generate sustainable advertising revenue and on going donations from supporters in order to become financially sustainable for future editions. 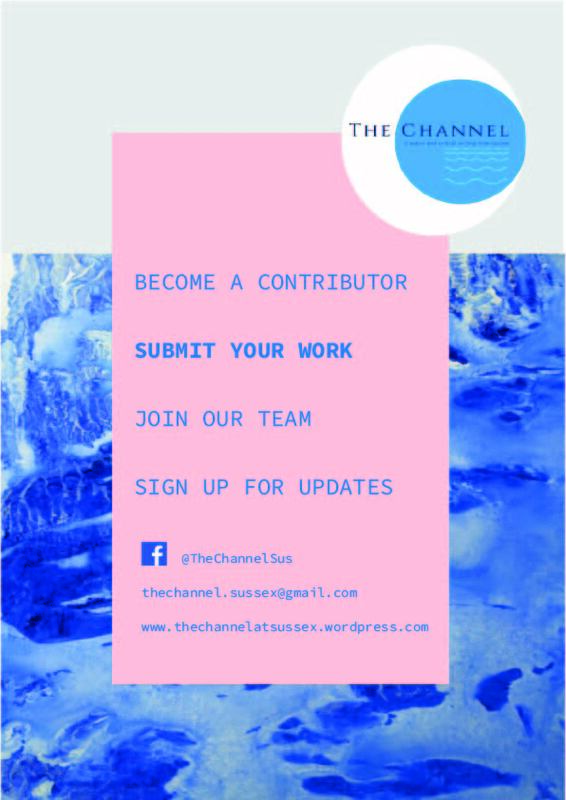 By donating to this project, you are contributing to both the first edition and the long-term sustainability of our magazine! 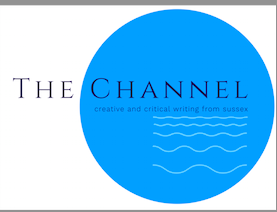 £1 or more – the feel-good factor of supporting innovative and interdisciplinary writing at Sussex! £50 or more – Name added to print copy and a 1st edition print copy sent to your home with a letter of thanks from the editorial team. £1200 – Your name and a message of your choosing* on a page to itself (perfect for declaring love to a partner as a romantic gesture or simply for fun) and copies of the next three editions sent to you. We will be giving regular updates on the process of our first addition as well as recruiting for our team next year and future calls for submissions. All of the above and your name added to print copy, plus a 1st edition print copy sent to your home with a letter of thanks from the editorial team.